As a Pronto Smart Choice Advantage member you will gain trust and confidence from your customers by offering the Protection Plus 24-Month / 24,000 mile (40 km) Parts and Labor Warranty. This is a limited reimbursement warranty for a consumer which covers the originally installed part(s) and labor associated with said part, up to the original dollar amount listed on the original invoice for 24-months or 24,000 miles, whichever comes first. If a consumer is less than 25 miles from the Original Pronto Service Center, the consumer must return to the original service center for warranty repair. Service Center agrees to cover parts and labor at no charge to consumer for warranty replacement. Consumer pays for any non-warranty related parts and/or services. If consumer is 25 miles or more from the Original Pronto Service Center, the consumer must call the Warranty Administrator to start a warranty claim prior to any work being performed. For each qualifying repair you perform, show your customers you care about them and their vehicle with the added benefit of Roadside Assistance. Customer must register the qualifying service or repair at www.ProntoCarCare.com within 30 days of such repair to receive a Roadside Assistance Reimbursement Pre-Approval Certificate. Roadside Assistance Reimbursement is good for one (1) reimbursement up to $90 towards a tow, jump-start, lock-out, flat tire or fuel service for one year from date of original qualifying service. This program is limited to the vehicle serviced at the time of the repair. 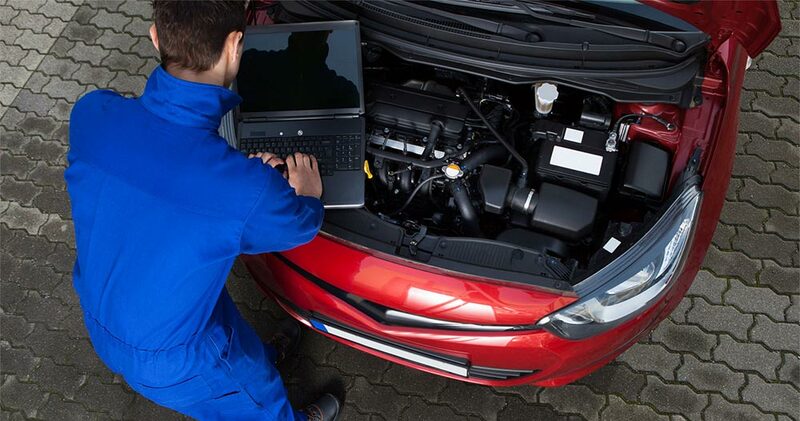 Delphi’s Auto IQ helps the service provider better explain needed repairs to customers resulting in more maintenance and repair services performed. It easily builds customer confidence in your service center and increases service retention and revenue. Service providers can show customers first-hand the need for repairs through detailed common vehicle systems diagrams while making technical terminology easier for the customer to understand. This tool is also excellent for training new technicians. Give your customers another payment option, but no longer carry all of the risk that comes with financing customer purchases yourself. Stop worrying about collecting on your in-house accounts and sign up today! For more information contact your local Pronto representative or visit www.CFNAAutoPass.com today! MyFleetAware is an affordable, full featured system that makes it easier to manage a fleet more profitably. Your time is valuable and you need to know what your vehicles are doing at all times. That is why we have developed a powerful, easy-to-use platform that gives you the tools you need, such as in-depth diagnostics and robust vehicle maintenance features, to efficiently manage your fleet at a cost that fits your budget. The device is installed into the On-Board Diagnostics (OBD) port located under the vehicle dashboard. 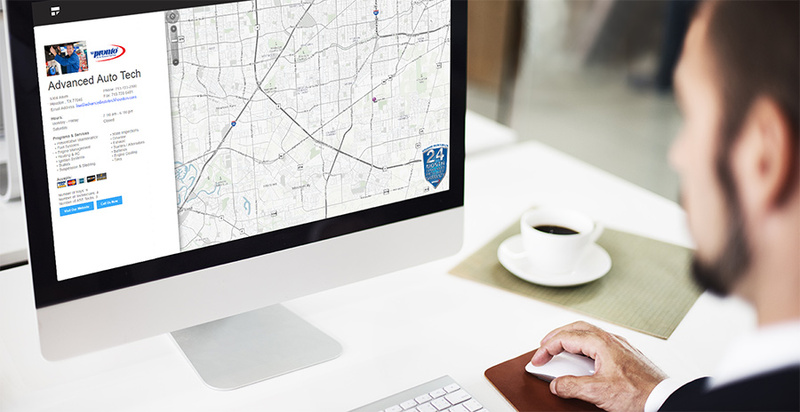 The system allows the in-vehicle device to communicate wirelessly via the Internet. It instantly gathers a wide range of information from a vehicle’s computer about how a vehicle is running and the way it is being driven. It can access a vehicle’s diagnostic trouble codes (DTCs) and is the only telematics system that reads manufacturer-specific maintenance and service schedules and reports the information you have specified securely via your email. Confident Financial Solutions (CFS) is a consumer finance company that offers auto repair financing to service centers and their customers. 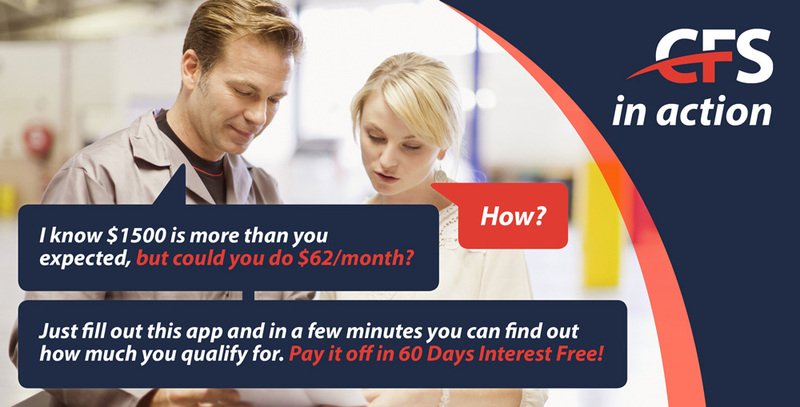 CFS offers monthly payments on service work to your customers with a simple loan. This program keeps customers from declining any or all of the recommended service work and helps bring in new business with their digital marketing solutions. Click here to set up an account online now! For additional information contact your local Pronto representative or speak directly with Andrea Mills at CFS at (425) 232-9327 or via email at andrea.mills@confidentfs.com to set up a shop account or for more information. ABS Road Hazard Plan - NEW! Provide your customers with valuable protection by offering them the Nationwide Road Hazard Plan from Automotive Business Solutions. Your customers can save money on damaged tires with this no-hassle claim policy. First impressions are everything. Smart Choice members will gain more visibility to motorist by displaying the Pronto Auto Service brand identification tools. Pronto offers a number of exterior sign options and interior point-of-sale aids. Cintas is your one-stop source for retail-inspired workwear creating a branded look your competitors can't match. A uniform rental program makes life easier by providing durable, comfortable garments and hassle-free service to help employees look their best. Plus, there is no laundry to do, no uniforms to buy, and no repairs or maintenance to waste your time and money. For more information on First Aid Supplies, please view the Cintas First Aid video. Today’s consumers reach for their smart phones & computers more than ever when searching for repair shop options in their local markets. Pronto Smart Choice members will stand out-front with an individual webpage linked from the Pronto location finder. When consumers visit ProntoCarCare.com or Pronto-Net.com, they have the ability to search for local Pronto Service Centers by state or zip code. When consumers click on your shop name, your businessown unique page will appear listing your address, phone, shop hours, repair services, website and other key services and shop information. Looking for a shop management system? Pronto Smart Choice members can receive a “new subscriber” offer from Mitchel1 and R.O. Writer. The Mitchell1® Shop Management System allows shops to order parts electronically from their local Pronto Member at a discount (discounts vary by quarter). In addition, the Mitchell1 TeamWorks feature will keep you connected to every customer that comes through the door. The R.O. Writer Shop Management System allows you to take control of your business. This software centralizes your activities to improve communication and organization. In addition, improve key categories such as service writing, time management, inventory management, business management, accounting, profitability and more. Smart Choice members qualify for special "new subscriber" offers on all products. Direct-Hit by Identifix delivers all data, tools and information necessary to help automotive repair professionals run their shops as efficiently, accurately and profitably as possible, by allowing them to save shop time–every day and on every car. Using Direct-Hit means more cars, less time and increased performance of both the shop technicians and the shop as a whole. Live technical assistance for professional shop owners and technicians seeking a trusted second opinion and additional expertise on tough vehicle issues. When you don’t have time to puzzle through a tough problem, the Identifix Repair Hotline is staffed by over 45 OE factory-trained ASE Master, L1 Carline Specialists waiting to help. Pronto shops automatically receive access to RepairPoint, the Delphi-powered website that puts everythign a shop needs in order to provide excellent service in one easy-to-use place. Insurance program. Pronto has teamed up with Federated Insurance to offer shops a host of coverage options. Auto Parts Shield™ provides your business with coverages including blanket limit, property in transit, defective product and faulty work, and property off premises. Pronto Smart Choice members receive discounted premiums. To learn more about how Federated Insurance can protect your business and property, go to FederatedInsurance.com. Fluid Rx Diagnostics allows industry professionals and consumers alike to determine when fluid services are needed based on the true condition of automotive lubricants.Fluid Rx Diagnostics is now the leader in automotive fluid testing. For more information, please visit the Fluid RX Diagnostics website. RepairPal is the #1 online site for automotive service and information with over 4 million visitors monthly. They provide consumers with service estimates, shop referrals and guaranteed pricing. In addition, RepairPal provides service centers with a shop certification process and an average of 8–10 customer leads per month. Pronto Auto Service Centers enjoy special program benefits! Unisource Capital is your single professional source for shop equipment leasing to fit your specific business situation. Unisource provides quality leasing programs, low rates, and additional services unmatched by anyone in the industry. Unisource gives you a host of leasing solutions that work best for your business with the ultimate goal of making more money! To learn more or to contact Unisource Capital, go to UnisourceCapital.com. Diagnose vehicle health in a matter of minutes and receive an extensive "health report" that can be used anytime, anywhere. Promote your knowledge, experience, skills and professionalism to customers by becoming ASE Certified. To obtain ASE Certification, register for and take one or more of ASE’s 40-plus exams. The tests are grouped into specialties. After passing at least one exam and providing proof of two years of relevant work experience, the test taker becomes ASE Certified. Upon successfully achieving ASE Certification or Recertification, Pronto will reimburse the technician’s per test fees. To remain certified, those with ASE credentials must be retested every five years. to six weeks for processing. The Group Academy (Sponsored by Pronto) is a service center training website for automotive technicians, service advisors, and business owners with hundreds of hours of streaming content covering all aspects of your business. Diagnostic and technical training, selling and customer service skills, and business management training are all designed with the service center in mind. Our training approach offers online courses 24/7 through a variety of delivery methods including self-study courses, virtual classroom training, video on demand, and others. You'll have access to current need-to-know topics for continuing education and skills development. In addition there are ASE test prep training courses to help you pass the tests and get certified. The Group Academy is a full Learning Management System (LMS) meaning as an owner/manager you will have full access to the site and each of your employee’s progress. Our system allows you to track, manage and report on the training progress of each of your employees. Take the guesswork out of training with The Group Training Academy. for you and your entire shop. RLO Training has provided training, coaching and support for the management of automotive shops since 1985. RLO is committed to making a profound impact on your business that improves RO, increases customer loyalty andenhances your business growth. Choose between two different training platforms, on-line or face-to-face; whichever suits your business need. to increase your business consistently throughout the year. You can attract new and existing local customers by offering specials on the services your business provides. As a Pronto Smart Choice member, you can take advantage of great rates on custom, professionally prepared direct mail cards. 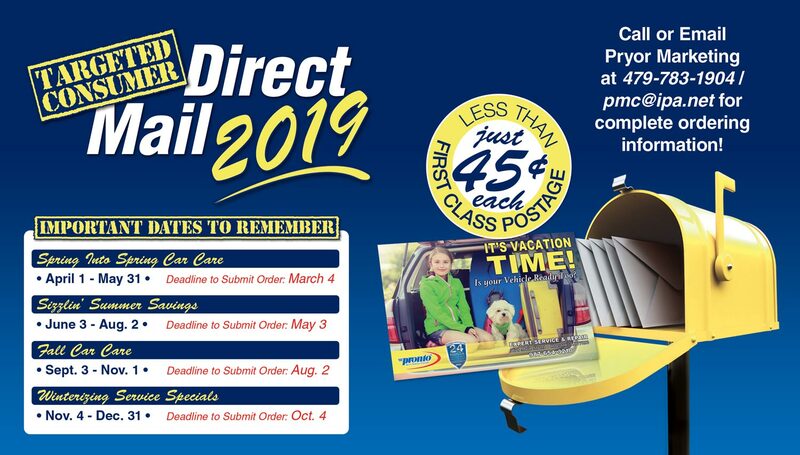 For more information on targeted consumer direct mail, please contact Pryor Marketing at 479-783-1904 or jeff@pryormarketing.com. Grow your business and bring more cars to your bays! Autoshop Solutions offers a powerful turnkey package created to fit your marketing needs. With our Internet Marketing Success Package, your shop has everything it needs to be successful with one convenient monthly price..
Or visit the AutoShop Solutions website for Pronto SmartChoice members. Bring your shop to the digital age with these highly effective service menu boards and waiting area solutions. Spectrio Digital Menu Boards allow for a number of in-store benefits. Not only can shops promote their services and pricing, other features include the ability to call attention to in-store promotions, display the local weather, announce community events and many other types of relevant store and local information. Pronto Smart Choice members qualify for special discounts through Spectrio Marketing Solutions. For more information and contact info, go to Spectrio.com. Aftermarket shops that use Identifix Direct Market have increased their customer retention rates by 70% or more, versus shops that do not engage in targeted, customer retention marketing. Download our Pronto Sales Sheet on Direct Market in PDF format or visit the Identifix Marketing website. Bolt On Technology boosts the auto repair and shop management process with collection of automotive software solutions that enhance daily shop functionality and repeat business. The service writer will have advanced notice of customer name, vehicle history and vehicle owners concerns before they ever enter the lobby. 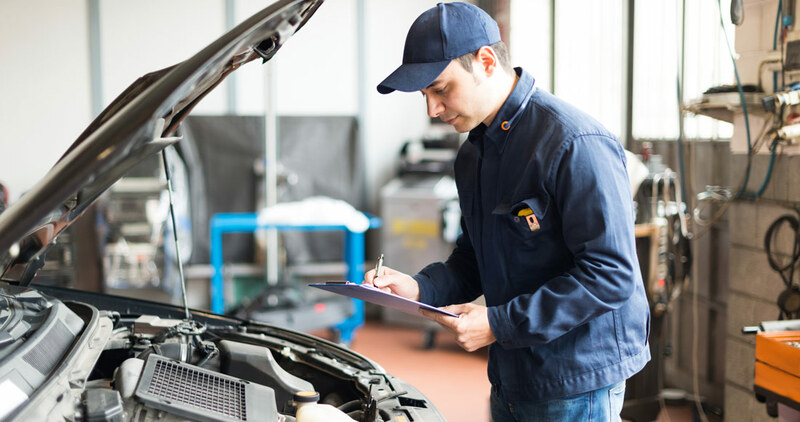 Once the service writer has inspected and determined the needed repair, estimates can be sent wirelessly direct to the customer for approval in an easy to read format. Become more efficient and profitable with Bolt On Technology software tools. Pronto Smart Choice members receive special discounts. OnHold Company provides you with skillfully crafted ads and the right audio image built around your brand, and tailored to make real connections with your calling customers. Choose the perfect on hold music and match it with the ideal voice at just the right tone and delivery. Pronto Smart Choice members receive special pricing for this program. Go to OnHoldCompany.com for more details and information to receive a FREE demo. It’s the little things that make a big difference. Impress your customers by showing how much you care for their vehicle with Slip-N-Grip vehicle protection products. Slip-N-Grip has dozens of products such as floor mat protectors, seat covers, steering wheel covers, parts bags and more. Slip-N-Grip also has a service reminder label printer for printing generic or fully custom labels. Give your business a more professional and caring image with Slip-N-Grip vehicle protection products. For the complete list of products and ordering information, go to SlipnGrip.com.